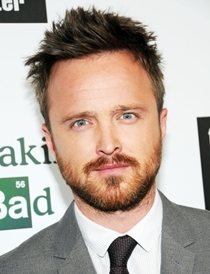 Aaron Paul Sturtevant, professionally known as Aaron Paul is an American actor born on 27th August 1979. He began his career in 1996 by participating in the International Modeling and Talent Association competition. Aaron won as a runner-up in the competition and signed with a manager. Afterwards, Paul starred in music videos and was also featured in several television commercials. He made his feature film debut in 2000 with the film Whatever It Takes and later on performed various roles in the films such as K-PAX, Mission: Impossible III and The Last House on the Left. But he earned recognition and fame for his role as Scott Quittman on HBO’s series Big Love. 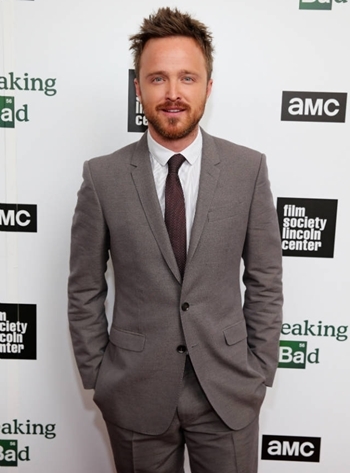 Following that, Aaron received a breakthrough role of Jesse Pinkman in the AMC series Breaking Bad. The series gained critical acclaim and bestowed him with numerous awards and nominations including Primetime Emmy Award and Satellite Award. Upcoming years brought more success to him and he appeared in several films and television series such as Hellion, Triple 9, BoJack Horseman and The Path. In his personal life, Aaron Paul became married with Lauren Parsekian in 2013. Siblings: He has three elder siblings. Take a look at the actor Aaron Paul body measurements list which includes details of his weight, height, chest, waist, biceps and shoe size. Paul loves to eat Pizza. He has never had formal acting training. Aaron as well worked as a frog mascot at a radio station.